The Chicago Housing Authority is stepping up evictions in buildings it has targeted for redevelopment–”a move that reduces the number of public housing tenants the agency must provide with replacement housing, an investigation by The Chicago Reporter shows. From Jan. 1, 1995, to Aug. 31, 1998, the CHA evicted 1,003 families from the 13 developments the agency wants to “revitalize,” according to CHA records. Revitalization means tearing down buildings and creating “mixed-income” communities in their place. In the same period, the authority evicted 355 families–”mostly women and children–”from 10 developments that are not scheduled for redevelopment. 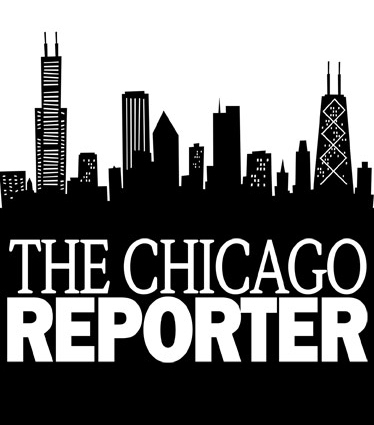 The Reporter found that eviction rates are highest in the four developments already awarded $152.9 million in federal HOPE VI funds slated for revitalization: Addams-Brooks-Loomis-Abbott, on the Near West Side; Cabrini-Green, on the Near North Side; Henry Horner Homes, on the West Side; and the Robert Taylor Homes, on the South Side. Under the federal Universal Relocation Act, public housing residents displaced by redevelopment must receive alternative housing, including another public housing unit or private housing subsidized by a Section 8 certificate. Section 8 recipients generally pay 30 percent of their income toward rent, with the federal government covering the rest. And once out, evicted tenants tend to disappear. The CHA doesn’t provide services after eviction, said George Phillips, the agency’s director of housing management. Poor at the start, some may lose their welfare benefits and be forced to move in with relatives, advocates say. The even less fortunate may join the city’s homeless population, said Ed Shurna, an organizer with the Chicago Coalition for the Homeless. In 1996, the U.S. Department of Housing and Urban Development labeled 14 of the CHA’s family housing developments–”containing 62 percent of the total family housing–””distressed.” Each had more than 300 apartments and a vacancy rate of at least 10 percent. Those 14 developments then underwent a “viability test,” which compared the cost of repairing them to the expense of demolition and providing Section 8 subsidies to the tenants. Thirteen public housing developments containing 17,859 units–”occupied and vacant–”failed the test and would have to be demolished. Since Chicago’s private housing market could not absorb that many people, HUD asked the CHA to submit a “revitalization” plan. The plan included demolishing much of the developments, rehabilitating some buildings and mixing in affordable and market-rate homes. One result of revitalization has been a dramatic drop in population. In January 1995, 14,687 families lived in the 13 developments slated for revitalization. By August 1998, it had fallen to 9,073, a 38.2 percent drop. Besides the 1,003 evictions, 1,305 more tenants took Section 8 certificates, according to records from CHAC Inc., the private firm that runs Chicago’s Section 8 program. By contrast, in 1995, 7,749 families lived in the rest of the agency’s family housing. In August, 6,854 tenants lived there, a decline of only 11.6 percent. “People do drop out of the system,” said Shuldiner. The CHA tries to accommodate them, he said, but many are “afraid to [leave public housing] for private, or to leave the neighborhood, or go to another building” because of a fear of gangs. Janice Neeley, 48, and Carolyn Orr, 42, lived for 28 years at 500-502 W. Oak St., a high-rise in the Cabrini-Green development. The CHA hopes to demolish the now-vacant West Oak building. The 262-unit building was less than one-third occupied in January, and the CHA wanted to close it. But the process stalled when Neeley, Orr and about 25 others balked at moving to replacement units at 1159 N. Larrabee St., a nearby high-rise. They feared for their safety, they said, because gangs controlled the building. In March, the CHA issued eviction orders to at least 27 tenants, including Neeley and Orr, for violating their leases by refusing to move, according to records from the Cook County Circuit Court. Some tenants “were scared and just left,” Orr said. “I don’t see how that would be our fault,” Harkless said. “We were living up to our side of the bargain” by providing replacement units. In addition, CHA officials said they offered Section 8 and other units throughout the CHA. In April, Neeley, Orr and five other West Oak tenants hired Lawrence Wood, an attorney with the Legal Assistance Foundation. By June, the CHA had dropped all the cases, after the families agreed to move. They received Section 8 certificates instead. Neeley’s new apartment in the Austin neighborhood on the West Side seems far away. “I’m used to the North Side. I knew everybody, and everybody knew me.” She and Orr hope to return to the Cabrini neighborhood someday. Many tenants facing eviction would rather leave than fight, said attorney Darryl Apperton, project director for the Northtown Housing Resource Center, a project of the Cabrini-Green Legal Aid Clinic. “People do that all the time,” he said. Northtown is partially funded by the Chicago Department of Housing. The clinic has handled at least 60 rent eviction cases from Cabrini in the past year, Apperton said, adding that the clinic “generally gets a whole slew of cases” when buildings close. But he acknowledged “you can’t go into court” and argue that the CHA is evicting a family because a building closed. Housing court judges will focus only on the tenant’s lease, and if “they haven’t paid their rent in 11 months,” they will be evicted, he said. Tenants who demonstrate hardship can have their rent waived, while others could pay as much as $982 for a five-bedroom unit. Initiating an eviction usually is up to the development manager, said Rolando T. Stewart Sr., vice president of Diversified Realty Group LLC. Diversified manages the CHA’s Hilliard and Darrow Homes on the South Side and co-manages Cabrini-Green’s William Green Homes, along with a resident management corporation. Tenants at least one month behind receive a 14-day eviction notice. They can then pay up or request a payment plan. Most residents solve the problem after getting the notice, said CHA Media Coordinator Vivian Potter. If they don’t, their cases are referred to the CHA’s legal department, which then files an eviction case in the circuit court. Tenants are served a summons to appear in court. If they lose the case, the judge typically gives them 14 to 21 days to move, said David E. Haracz, an attorney for the Legal Assistance Foundation. “I understand that [poor] families have other needs” that might affect their ability to pay rent, Shuldiner said, but some tenants are months behind. The CHA’s aggressive collection efforts won’t stop evictions, said Wardell Yotaghan, president of the Chicago Association of Resident Management Corporations and the 2450 W. Monroe Resident Management Corp.
“If people don’t comply, they send it to legal, and it goes into a giant stack.” Tenants believe they have time, and “hope they hit the lottery to pay the rent,” Yotaghan said. Meanwhile, the CHA continues to file eviction cases–”3,744 in 1997 alone, court records show. And the actual number of evictions from family housing is growing, from 270 in 1996, to 459 in 1997, and 305 from January to August of this year, according to CHA documents. Since 1997, CHA officials said they have been strictly enforcing a “one-strike-you’re-out” provision by evicting tenants for weapons and drug violations. Although these evictions have increased tenfold since 1995, they still make up a small percentage of total evictions. The CHA evicted 70 residents from family housing for these violations in 1997, compared with 13 in 1995 and 1996 combined. Forty-seven tenants had been evicted through August of this year. The exodus of public housing residents from the Jane Addams Homes left some tenants feeling like they were in a ghost town. Jennie Dunn, who lived in Addams for 32 years before moving in June to the Newberry Park Apartments, 1353 S. Blue Island Ave., a private housing development, said that at night, it looked and sounded like an after-hours construction site. “Scavengers were breaking into the empty buildings, stealing pipes, windows, anything. You woke up in the middle of the night and wondered what all the noise was,” Dunn said. During the day, “where you used to see families, children and flowers, you had all these squatters asking you for a quarter.” Big changes are under way at Addams, part of the 2,776-unit ABLA development amid the new condominiums and townhomes of the West Loop and University Village neighborhoods. The CHA hopes to raise $430 million from government and private sources by 2006 to transform the decaying buildings into a mixed-income community, according to CHA documents. According to its HOPE VI plan, 1,084 public housing units will remain at ABLA for families at no more than 35 percent of the area’s median income, which HUD set at $59,500 for a family of four. The current median income of ABLA is $6,160, CHA records show. At ABLA, the biggest changes have come to the Addams and Brooks sections, which the CHA calls “ABLA A.” The collection of 121 low-rises sits astride Roosevelt Road, from Racine to Loomis avenues. To reduce density south of Roosevelt, the CHA will demolish 33 of Brooks’ 89 buildings. It also will demolish all of the 32 northern Addams buildings. Last year, more than half the residents left the Addams and Brooks Homes, CHA records show. The population fell from 2,588 residents to 1,278. Evictions surged. In 1996, the CHA evicted 13 residents from Addams and Brooks. That number climbed to 44 in 1997. During the first eight months of 1998, the population decline slowed: 1,113 residents were left, and only 11 tenants were evicted. By contrast, “ABLA B,” which includes the high-rise developments of the Abbott Homes and the Brooks Extension, recorded 17 evictions last year. The development’s overall population increased slightly, from 2,925 people to 2,973, as relocated Addams residents moved in. The Reporter found a similar pattern at the vast Robert Taylor Homes, whose 16-story buildings stretch along South State Street, from 39th to 54th streets. Taylor Homes south of 47th Street, designated “Taylor B” by the CHA, received a $25 million HOPE VI grant in 1996. Under its 15-year plan, the agency will demolish the entire development and replace it with a mixed-income community. Taylor B is the first to fall. Three buildings at 5322-26 S. State St. had been torn down by July. Again, relocation was accompanied by a rise in evictions. Beginning in 1997, the evictions rate at the southern end of Taylor accelerated past that in the northern buildings. From Jan. 1, 1995 to Dec. 31, 1996, the CHA evicted 58 tenants from Taylor A and 54 from Taylor B. The northern half had 1,538 families at the start of 1995, and 1,953 lived on the southern end. But from Jan. 1, 1997 to Aug. 31, 1998, the CHA ejected 96 families from the southern buildings, compared to 43 to the north. The number of families in Taylor B declined from 1,677 to 1,094 during this period, while Taylor A fell from 1,206 to 970, according to CHA records. The difference between the number of current units and the planned replacements is greatest at Taylor B. According to the CHA’s April 1998 revitalization plan, 550 units, including off-site homes, will replace the demolished units. The remaining residents will need Section 8 certificates or another development unit. And Taylor residents could have a tougher time finding homes with a certificate. “The name Robert Taylor might scare [private] landlords,” said Jennifer L. O’Neil, deputy director of CHAC Inc. So far, 50 percent of the residents who chose Section 8 have found housing, but O’Neil cautioned that many are still looking, so it is too early to tell the full story. Evictions won’t make a difference at the Henry Horner Homes. A 1995 consent agreement binds the authority to repair Horner and provide 466 new replacement units throughout the Near West Side. Even if officials evicted all the current tenants, they still would have to grant Horner leases to new public housing families. Still, the agency used evictions as a way to “screen” families eligible to receive replacement housing, said Wilen, who represents Horner residents. “What they couldn’t do through the front door” by screening, “they are doing through the back door” by evictions, he said. CHA officials deny the charge. The West Side development received a HOPE VI grant in 1996. That year the CHA terminated only eight leases, or less than 1 percent of the total. But 37 families, or nearly 5 percent of the remaining households, were evicted in 1997, the highest rate of any development. Four percent of the remaining families were evicted in the first eight months of 1998. Resident management corporations might cure the CHA’s eviction ills. HUD regulations allow residents to form corporations to administer separate buildings or developments, collect rent and receive operating expenses from their public housing authorities. Currently four corporations solely manage CHA properties, and seven more are in training or manage with a private company. Residents of 1230 N. Burling St. in Cabrini-Green Homes have been fully managing the 134-unit building since 1991. The Burling building houses a wide range of income levels, with monthly rents ranging from $69 to $500, Williams said. Many come from other CHA developments, and some are working families from the agency’s waiting list, she said. We usually have “two or three [tenants] in trouble at a time,” she said. She believes the corporation should “give people a chance. You go see what the problem is.” Sometimes tenants with problems have been cut off from public aid. “I think [the cutting] of public aid is a real issue,” said Sunny Fischer, executive director of the City of Chicago/Cook County Welfare Reform Task Force, a group appointed by Mayor Richard M. Daley and Cook County Board President John H. Stroger Jr. to monitor welfare reform. The panel will issue a report in mid-January that will call for greater coordination between the CHA and city, state, and county agencies on affordable housing issues, she said. Fischer told the Reporter the CHA should ensure evicted tenants are “connected to other types of [city] services” such as homeless shelters. Board President Carol Steele and the other members of the Cabrini Rowhouse Resident Management Corp. began to manage their development alongside a private company in June 1997. Up until Aug. 31, 1998, only four tenants had been evicted from the 586 low-rise homes, CHA records show. The organization works to ensure that “people’s problems are dealt with,” Steele said. For example, if tenants fell behind due to a drug problem, the group would ensure they got treatment, she said. But resident managers may have to evict tenants, said Yotaghan of the Chicago Association of RMCs. Residents at 2450 W. Monroe St. successfully completed their two-year training and will assume full responsibility for their 140-unit Rockwell Gardens building on Jan. 1, Yotaghan said. The residents most delinquent in their rent will be management’s first hurdle. At least 10 people are “way behind,” and one owes $1,500, he said. Gloria Greer, a 13-year resident of 1230 N. Burling St., said the RMC saved her from eviction. CHA police arrested her eldest son for possession of a controlled substance at another Cabrini building in October 1997. But Greer said she removed her son from the lease before the arrest and “he did not even visit.” The agency brought an eviction case against her under the “one-strike” provision. “We’ve been expanding the number of units under RMCs” more than any other agency in the nation, Shuldiner said. The CHA will use either type of management, private or resident, to ensure good service, the resident option leaves tenants “more in control of their destiny,” he added. However, resident-run public housing is a challenge. Board members are unpaid, and running one is “a full-time job,” Steele said. To make it, a corporation needs more than a board and staff, she added. The Rowhouse group, for example, has committees that address neighborhood safety and job placement. “Everyone in the community participates in cleaning and fixing the development. You need dedicated people in the community,” she said. Rebecca Anderson, Sofia Javed, Heather Kuipers, Michael Rohner, Karen Shields, Terris R. Tiller and Vickey Velazquez helped research this article. This report is the third in a series, “The Transformation of Public Housing,” an investigation of the historic changes under way in Chicago’s public housing. The series is supported by the Woods Fund of Chicago and The Fund for Investigative Journalism, based in Annandale, Va.
Year after year, Chicago spends much more than planned on police payouts and relies on costly borrowing to make up the difference.